Corporate users rely more and more on large scale databases – be it for customer information, resource tracking or other business analytics. This all works well for desk bound workers who can pull up a plethora of applications to access those databases, but not so for mobile users who need to quickly access particular data. This is the space that Mobile Data Now operates in. Mobile Data Now is a mobile messaging solution that allows users to gain access to business data via e-mail, SMS and IM. 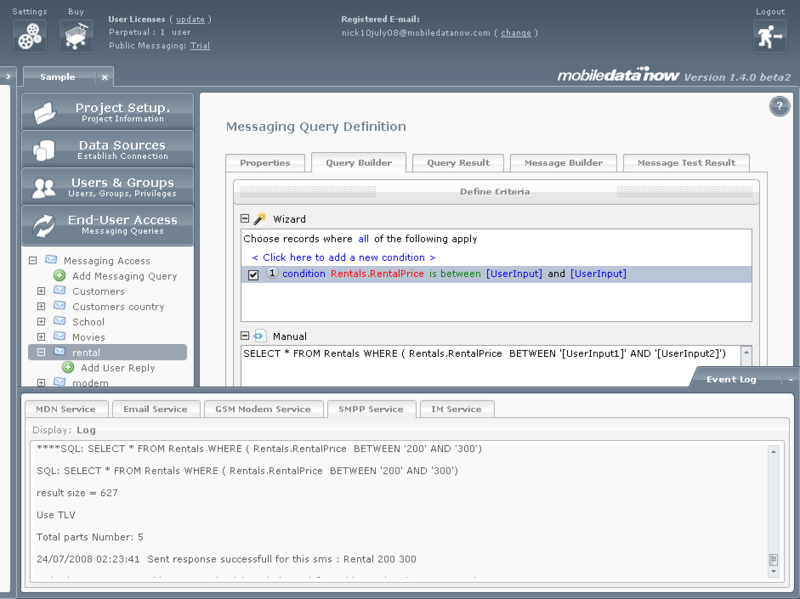 Mobile users gain access to the data they require by sending a keyword based query to the MDN messaging engine. 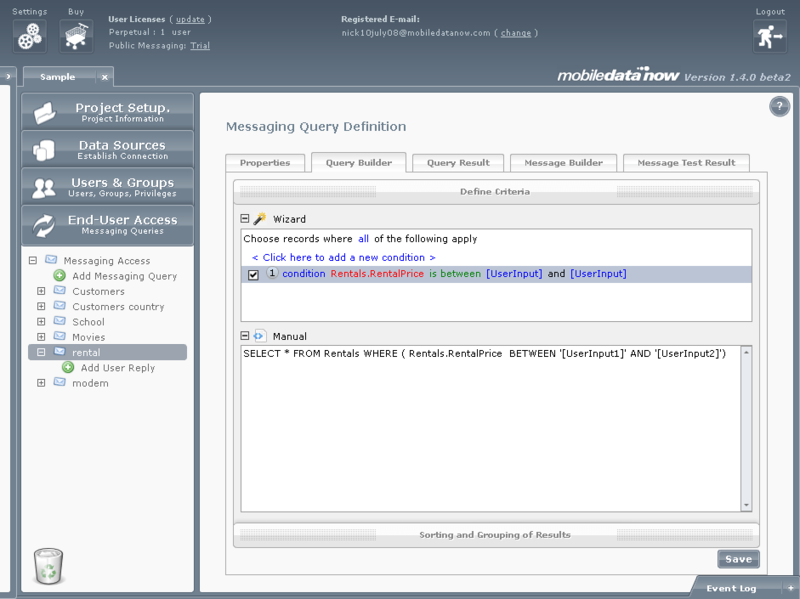 Based on data access permissions, the message query is obtained from the database and transmitted back through MDN to the user. MDN is a novel approach towards mobile data acquisition. Other solutions have attempted to port a desktop app to a mobile device which – given the plethora of use-cases for mobile, is less than optimal – MDN recognise that every handset already includes its own messaging applications and has leveraged these to unlock database access. At this stage MDN is an installed application (installed on the corporate server – accessed from the mobile device), although MDN tell me that they are investigating the possibilities around offering MDN as an on-demand solution.